TUCSON, Ariz. and REUTLINGEN, September 17, 2018 — Critical Path Institute’s Predictive Safety Testing Consortium (PSTC) and SIGNATOPE GmbH are excited to announce a new project, joining efforts on analyzing and qualifying promising protein safety biomarkers in mouse, rat, dog, monkey, and human. The work is expected to increase understanding of drug-induced toxicities and ultimately improve drug safety, as well as reduce safety-related attrition in drug development studies. Drug-induced liver, kidney, and vascular injury are key safety issues that slow the development of efficacious therapies. Furthermore, the lack of predictive translational preclinical models to understand the clinical relevance of drug-induced tissue injury slows the progress of novel medicines. 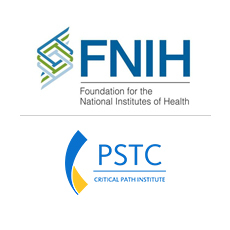 In close collaboration with the Innovative Medicines Initiative’s SAFE-T consortium, PSTC has contributed significantly to paving the way for clinical qualification of novel biomarkers for drug-induced liver, kidney, and vascular injury. PSTC is driving global efforts to define evidentiary standards for biomarker qualification, and collaborates with regulatory agencies in the U.S., Europe, and Japan. SIGNATOPE is developing antibody-based protein biomarker assays on a mass spectrometer platform capable of analyzing animal and human specimens using the same antibody. Complementing SIGNATOPE’s technology, PSTC has developed a streamlined approach to identifying and gaining regulatory acceptance of sensitive and specific predictive safety biomarkers for use in drug development. Assay standardization and analysis of biomarkers on the same technology platform across multiple species, including humans. “PSTC’s unique sample collection from animal studies will help advance research and assay development. The project will demonstrate the added value of measuring protein biomarkers compared to traditional pathology,” said Dr. Oliver Pötz, CEO of SIGNATOPE. C-Path (Critical Path Institute) is an independent, nonprofit organization established in 2005 as a public and private partnership. C-Path’s mission is to catalyze the development of new approaches that advance medical innovation and regulatory science, accelerating the path to a healthier world. An international leader in forming collaborations, C-Path has established numerous global consortia that currently include over 1,500 scientists from government and regulatory agencies, academia, patient organizations, disease foundations, and dozens of pharmaceutical and biotech companies. C-Path is headquartered in Tucson, Arizona, with additional staff in multiple remote locations. For more information, visit www.c-path.org. SIGNATOPE GmbH was established in August 2016 in Reutlingen by Thomas Joos, Hannes Planatscher, Oliver Pötz and Octavian Schatz, together with the NMI Natural and Medical Sciences Institute at the University of Tübingen. SIGNATOPE develops innovative protein assays that are capable of detecting and quantifying biomarkers for organ damage and drug interactions in blood, urine, and tissue. In addition, SIGNATOPE offers analytical services for clients in the pharmaceutical and chemical industries. The company’s CEO is biochemist Dr. Oliver Pötz. www.signatope.de .